Just implemented the same logic in Excel.. Looks fine trick..
Great! One of my favorite feature in Tableau is now available in Power BI. That’s really nifty Chris. You can create some very creative reports this way. People should just remember that the selected unicode characters will have to be present in the font they are using in the report. 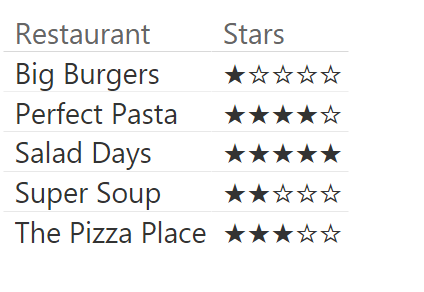 As far as I know Power BI doesn’t support composite fonts. This tips can use with emoji. How did you colorize the Emoji in Power BI desktop? is it possible? 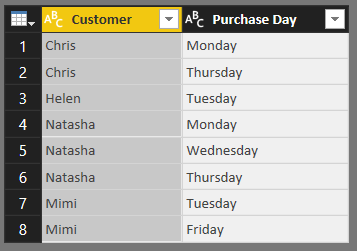 You can set the font colour (and alternate font colour) for rows in a table, but that only works for the whole row I think. Chris.. what can I say? Keep doing what you doing, awesome post. Pingback: Excel UNICHAR function is also in Power BI – We are in the world of Self service BI. Failed to resolve name ‘UNICHAR’. 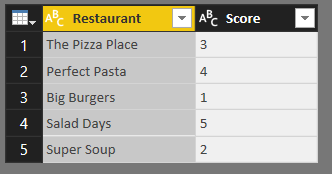 It is not a valid table, variable, or function name. The Unichar() function is quite new – it may not be available in older versions of Power BI Desktop or Excel. When I go to the Unicode Wikipedia link, I see codes like “U+25A3” for the square with the black dot inside (for example). Where do you see 9635? Letters can’t be used in UNICHAR(). Is there some kind of conversion that you have to do to get to the numerical code? Thank you. When I go to the Unicode Wikipedia link, I see codes like “U+25A3” for the box with the dot in the middle (for example). Where do you see 9635? Letters are not allowed in the UNICHAR() function. Is there some kind of numerical conversion you have to do? Thank you. In Wikipedia the Code column in the table gives you the unicode code in hexadecimal. You need to convert this to a decimal number to work with the Unichar() function: 25A3 in hexadecimal is 9635 in decimal. Hi, thanks for your post Chris. I have a problem. I can’t use UNICHAR() with live SSAS connection. If i use Excel data or “import query from SSAS” it works like a charm. How to fix it with a live connection to Tabular model? Unichar() is a new function, so I guess it will only work with the most recent versions of SSAS Tabular (ie the 2017 CTP or Azure SSAS). Is there an alternate to UNICHAR while using SSAS 2016 with Power BI. We do not have liberty to upgrade the version. But user wants to see some symbol on the cards. Hi when we have the Avgerage in decimal the start is not filled partially. is there a way to overcome this? Hi when we have the Avgerage in decimal the star is not filled partially. is there a way to overcome this? Since there is no unicode character for a half-filled star (that I know of), you can’t get around this problem. Sorry! You might try 1F31F (127775) as a stopgap.